Background: M.S. in Health and Human Performance. Background: I gained a lot of knowledge and experience in fitness training as a player, coach, and student. I was a student-athlete for Liberty University Women’s Soccer (LUWS) program, played semi-pro, coached for Jefferson Forest High School, and then Student-Coached for LUWS. I have seen the strengths and weaknesses of many fitness coaches over the years and have pulled in to my training the aspects of greatest importance. It is incredible to see clients’ goals come in to fruition in the gym. Each individual comes in with different objectives in mind, we design a program specific to their needs and whether it’s pounds lost, function gained, or performance enhanced the outcome is extremely rewarding. 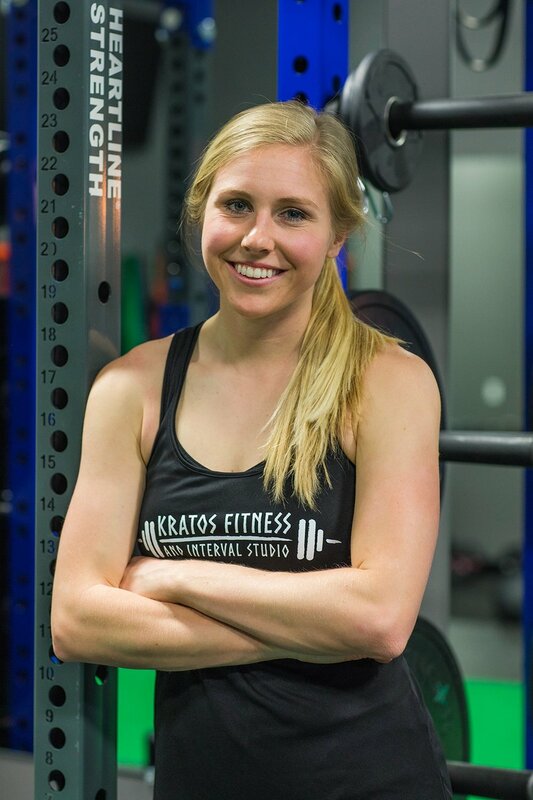 My educational requirements have exposed me to a variety of training environments including athletic performance, testing and evaluation, strength and conditioning as well as an internship in a personal training setting. This has allowed me to work with unique clients of all ages with goals ranging from strength, weight loss, weight gain, wellness, and athletic conditioning. Everyone is different. Therefore, as a trainer, I believe it is my job to individualize each program to tailor fit the needs, goals, and abilities of each person I train and be able to modify or progress those programs as their fitness levels evolve.